where she loved to bring her doggy "kids" Micah and Scout to explore and rest. 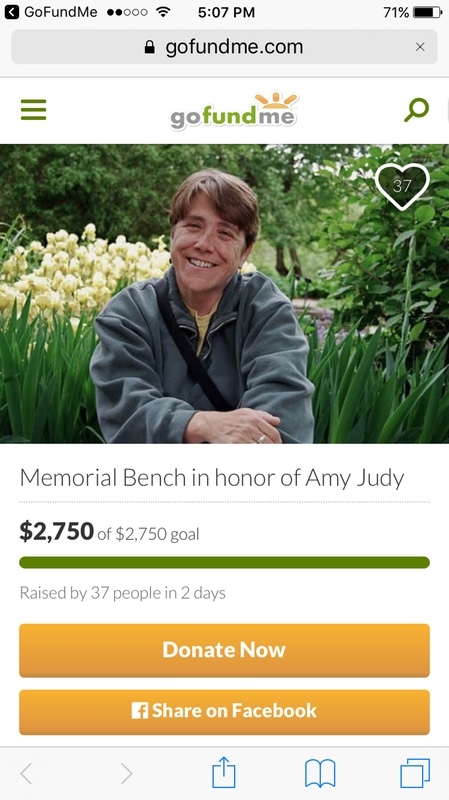 Please consider donating to honor Amy's life that ended too soon and to encourage others to rest and enjoy the beauty of the hidden gem, Indian Lake County Park. 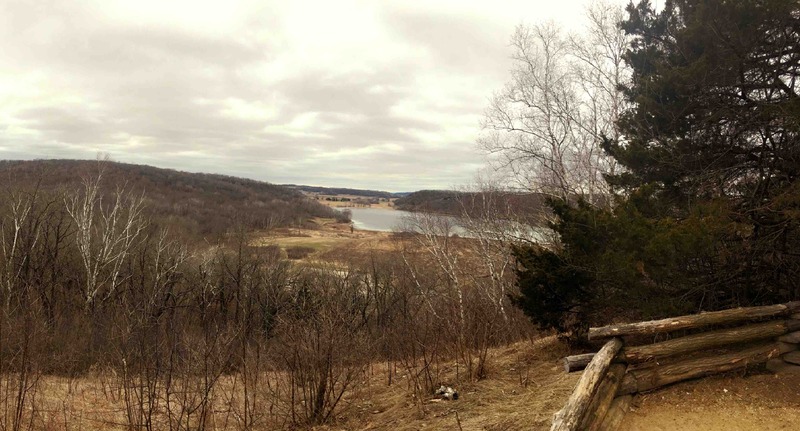 Shannel Trudeau-Yancey will complete the application for the bench with Dane County Parks Donation Request and be in charge of the final expenses. Estimate is $2500 plus GoFund Me $125+. Any additional funds will be donated to the Southern Poverty Law Center and Dane County Humane Society's Wild Life Center in memory of Amy. 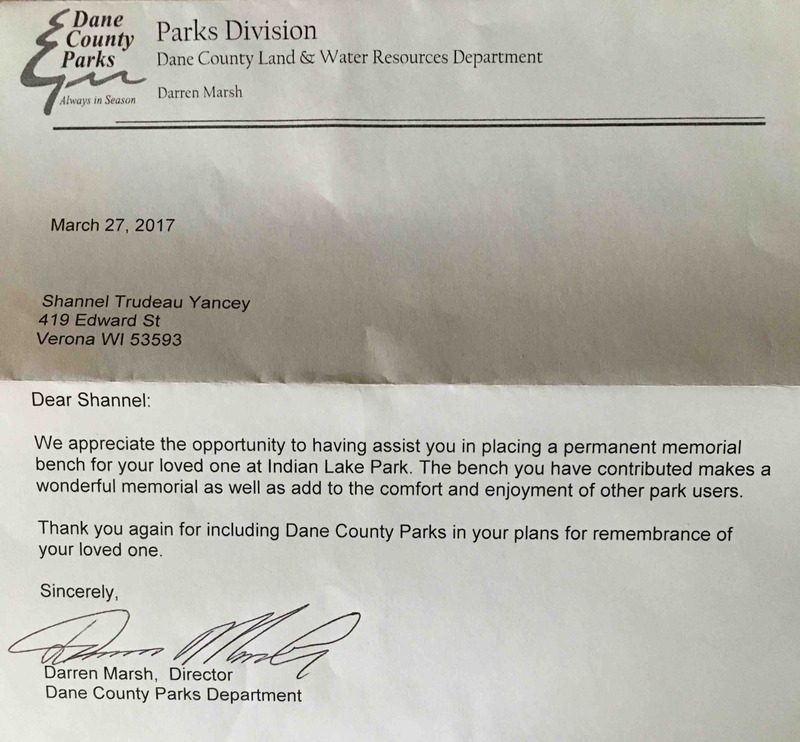 Just an update that I have completed the Dane County Parks donation form and mailed payment for the memorial bench in honor of Amy Judy. I will keep you posted once everything is finalized. Thank you again for such a generous donations. All extra donations above above the $2500 will be donated to some of Amy's favorite nonprofit organization's. I will keep the donations page open for a couple of weeks for those that still want to contribute to the memory of this amazing woman! Big bow of gratitude to all those that have contributed. She is surely missed. What an amazing blessing to have reached our goal! Any excess funds will be donated to some of Amy's favorite nonprofit organization's. I will keep you posted once the bench is placed. Thank you so much for your kindness and generosity. Amy was richly blessed to know you. Amy was by far one of the best people I have ever known. She was taken from this world too soon but she did great things while she was here! A great example to follow! Shannel- thanks so much for giving Amy's friends and family this opportunity to express their love for and appreciation of Amy. She will always be in our hearts. Amy was a big influence in the decisions I made during that period of my life both professionally. 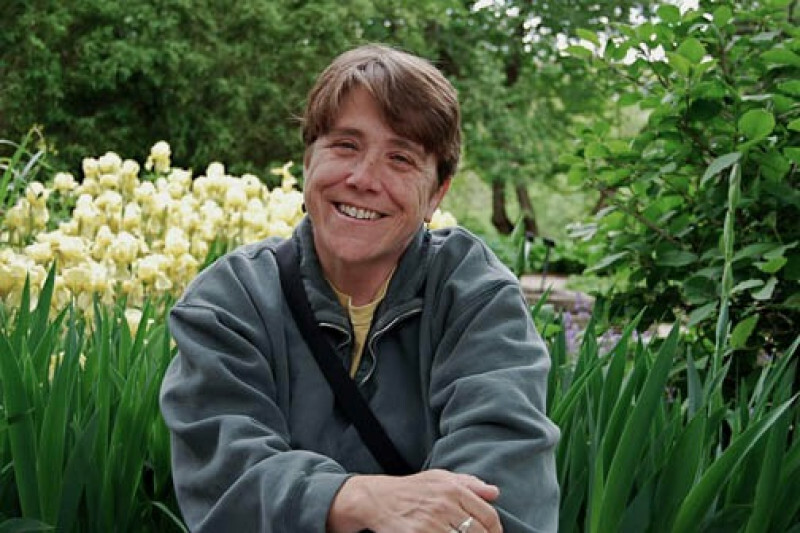 Her generosity, humor, talents, and wisdom will be greatly missed. Thank you Shannel for organizing this! !